Cranberry Juice – Can drinking bucket fulls help you pass a drug test? The idea behind this is that cranberry juice is a diuretic and will indeed make you pee like a race horse! For every glass you drink though, you’ll pee out not just that glass but another glass of the water in your body. The valuable water in the body aids your metabolism. Cranberry juice dehydrates you. A dehydrated body doesn’t metabolise and excrete toxins effectively. Think of the dehydrating effect of large quantities of alcohol and the inevitable hangover the next day. The principle is similar. So? 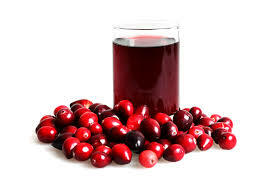 No, despite it being one of the most common myths, cranberry juice does not help you pass your drug test. In fact it’s more likely to help you fail. Other things which have a similar effect to cranberry juice are green tea, herbal detox products you can buy at health food shops, dandelion and burdock, milk thistle, garlic tablets and blueberries to name a few. Whilst these products may have other health benefits, they are best avoided for the purposes of passing a drug test.